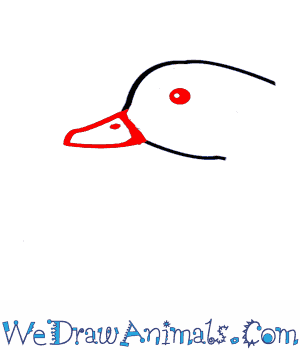 In this quick tutorial you'll learn how to draw a Harlequin Duck in 7 easy steps - great for kids and novice artists. 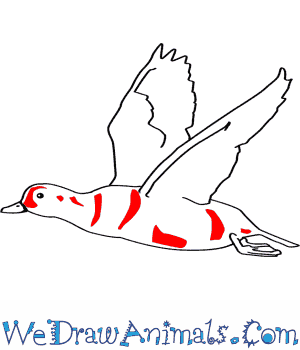 At the bottom you can read some interesting facts about the Harlequin Duck. 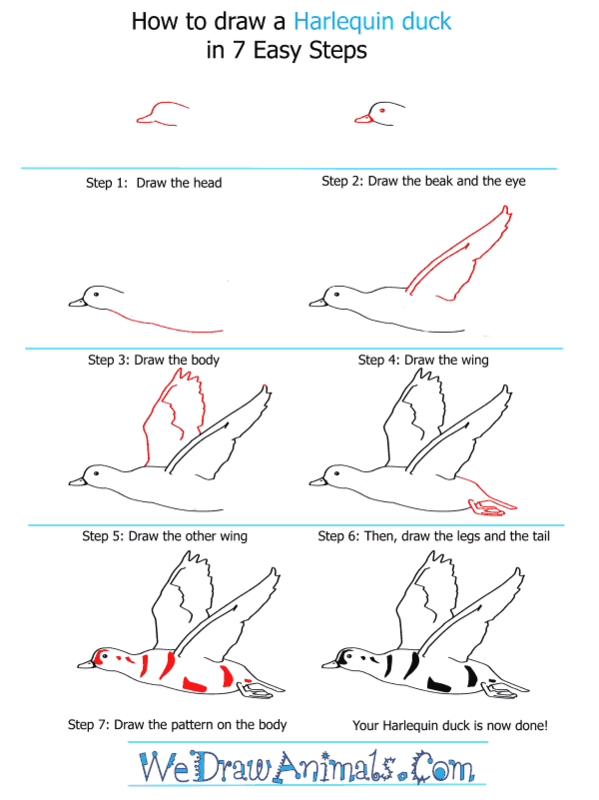 Step 1: Start off your harlequin duck by outling the shape of its head. Make sure to include a long, thin beak as well. 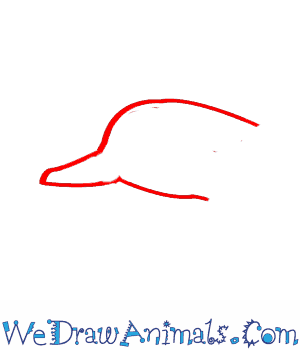 Step 2: Add more detail to the beak and the face. Add in two dots for the nostrils and a larger, bolder dot for the eye. 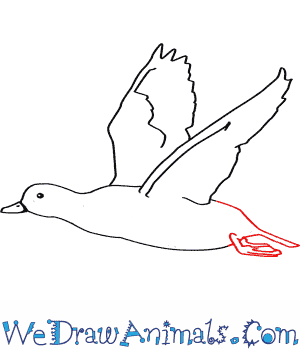 Step 3: From the neck, draw a long, curved line for the duck's underbelly. Step 4: Now add more on to the wing. Start with a triangle shape. 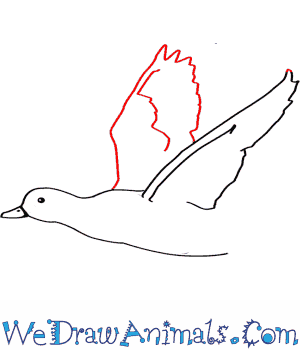 On the right side of the triangle, make the endge serated to show the feathers of the wing. 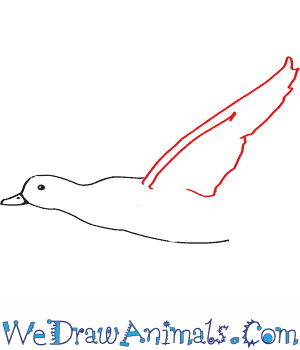 Step 5: Draw the other wing. Add an edge to this one, curving a line up to the left and then going straight out to the right. Step 6: Let's add the legs and the tail. The tail should be small and the legs not much longer. 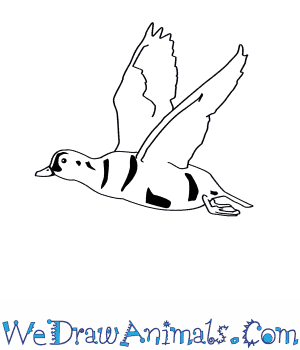 These ducks dive for their food, eating small fish and insects in the water! 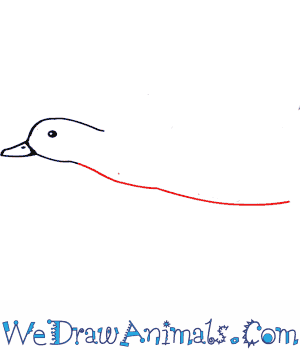 Step 7: The Harleuin duck has very dinstinctive patterns that are easily distinguishable from other ducks. Add these around the face, neck, and body! The Harlequin duck prefers fast moving waters and likes to breed on fast-flowing streams. It is normally found in mountain streams and rivers in forested areas. In winter, they are normally near turbulent coastal waters near rocky areas.The wintering populations of the Harlequin Ducks have been smaller than in the late 1800s but recent numbers from the last part of the 20th century have shown that the populations have grown. They are considered an endangered species in Canada but a threatened species in Maine, and a species of special concern in western USA. The birds dive to the bottom of the water for their food. Fish, insects and marine invertebrates are the Harlequin Ducks main food. Harlequin Ducks are medium size around 13 to 21.3 inches long, weighing 17.6 to 25.6 ounces with a wingspan of 22 to 26 inches wide. When the duck is engaged in behavioral interactions, it makes a squeak like a mouse, where it gets its name from locals called a sea mouse. More than half of the eastern North American population of the Harlequin Duck will winter in coastal Maine. Mostly on the outer reaches of Penobscot and Jericho Bays.